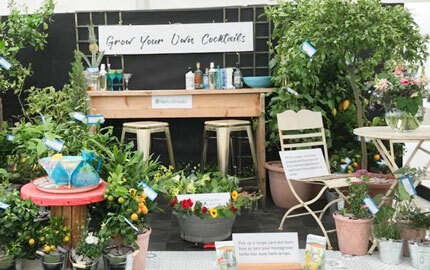 We love a summer cocktail and we've had a great time building cocktail themed displays and holding forth on one of our favourite subjects at shows up and down the country. 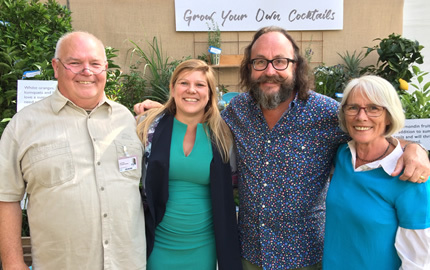 Our stand and our tasty 'ginalicious' were featured on Saturday Kitchen in July 2017 with Dave from the Hairy Bikers and most recently we were at Malvern RHS Spring show talking cocktails and limoncello on the big stage. For those that couldn't make it along, we've added our tasty cocktail recipes and a simple 'how-to' limoncello video below - happy sipping! Once dissolved add 3-4 tablespoons of either lavender flower buds or another fragrant herb of your choice (lemon verbena, thyme and rosemary all work particularly well). Simmer for 10 mins then cool and strain into an airtight container (glass bottles are ideal). Can be stored in the fridge for at least 2 weeks. 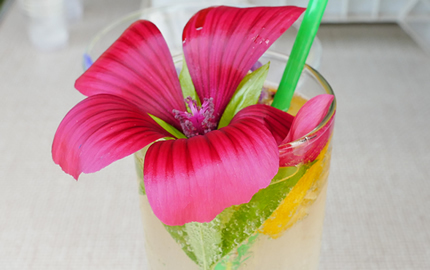 Pour 50cl of vodka, 25cl of lavender syrup over ice in a tall highball glass or large wineglass. Slice 2 calamondins in half squeeze into the glass and then add the squashed fruits too. Variations: You can use any sweet orange, lemons, limes or kumquats in place of the calamondins and this works great with a range of other herb syrups. Try lemon verbena syrup or even shop bought elderflower cordial for a refreshing summer drink. Delicious without the alcohol too. Start with a good handful of ice in a cocktail shaker. Add 50cl gin, 50cl of lemon juice (approx 2 large lemons) and 25cl of your favourite herb syrup. Shake, strain and taste – you can add more sugar syrup, lemon juice or gin as preferred at this stage. 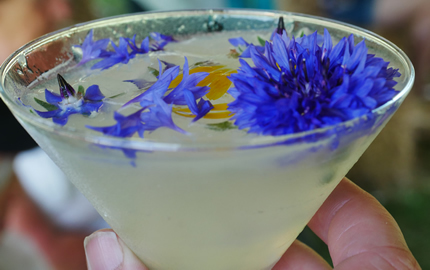 Serve in a chilled martini glass with an ice cube and a sprinkling of borage and cornflowers. Enjoy! Fancy having a go at growing some of these ingredients yourself? or know someone who'd love a cocktail themed gift? Click here for the full range.